That the Rafale is state-of-the-art fighter the IAF must get is unquestionable. But the brouhaha is about the joint venture (JV) between Dassault Aviation and Reliance Defence owned by Anil Ambani under the offset clause. In April 2015, when Prime Minister Narendra Modi announced purchase of 36 x Rafale in Paris, he had bypassed the Cabinet Committee on Security (CCS). The inside news then also was that not only MoD and MEA but even the then RM and EAM were taken by surprise. Former French President Francois Hollande dropped a bombshell (for whatever reason) when he disclosed Indian Government had given instructions that Dassault Aviation should partner with Reliance Defence for the JV. 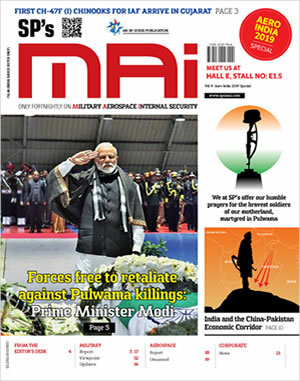 There is massive Congress-BJP dogfight who gave those instructions to the French, when, and in which year, why was Anil Ambani in Paris when Modi announced import of 36 Rafale and what not; whatever happened in the Rafale deal may remain mystery and hopefully the IAF will get these fighter jets earliest to make up part of their critical voids. But in all the heat of mudslinging, no one is discussing the one possibility, where Dassault Aviation could have been told to partner Reliance Defence. There have been multiple defence scams in India, none of which have been probed fully - none manning MoD even questioned. It is known practice that before any deal is signed; the Defence Secretary / DG Acquisition make sure kickbacks reach intended beneficiaries. In such environment, asking the foreign vendor ‘in private’ which IOP to partner for JV is no big deal. If France was indeed asked that Dassault Aviation should partner Reliance Defence, as was Hollande’s initial assertion (we didn’t have a choice), it would have been verbal, which can’t be proved. The Reliance Press Release of 2016 had read: “On 23 September 2016, India and France signed a purchase agreement for supply of 36 Rafale fighter jets at a value of Euro 7.87 billion, or about Rs 60,000 crore. The contract includes a 50% offset obligation to the tune of approximately Rs 30,000 crore, which is the largest ever in the history of India. DRAL will be a key player in the execution of offset obligations”. The mention of “Euro 7.87 billion” should put to rest the curiosity about price. Hollande has since retracted his statement which is understandable because he would have realized / or may have been sensitized this could amount to loss of credibility for the Indian Government facing elections, and more importantly, much financial loss to France if the deal got nixed. 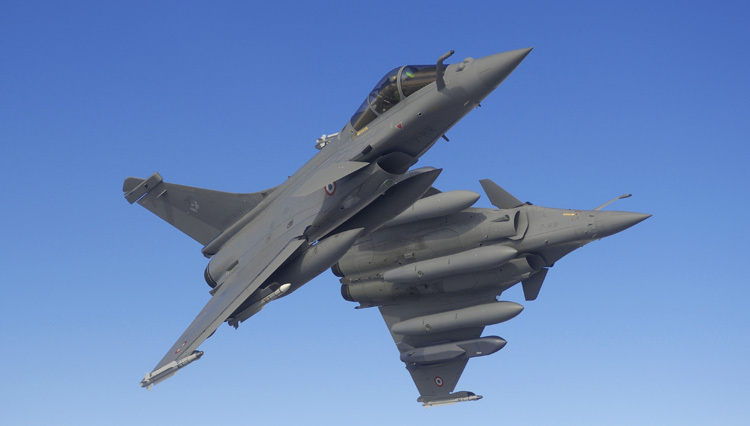 As per media reports of March 2018, the French have now offered a 25% discount and as per French estimates the overall cost for 36 x Rafale is not expected to cross $8 billion. The offset clause has immense benefits for the ‘Make in India’ projects. It breaks the monopoly of the governmental defence industrial complex that remains largely laid back by design. Interestingly, when Defence Minister Nirmala Sitharaman decried HAL’s inadequacies for the JV in instant case, no one questioned why HAL is in this state despite being overseen by MoD since 1947? Don’t we know how indigenous projects are deliberately delayed from within HAL and from outside to facilitate imports, and what about other white elephants under MoD like DRDO and OF? Offsets encourage private sector participation in defence, which is very essential because if India is to become self-reliant in defence requirements, the defence-industrial base must include as much of the private sector as possible; extending various concessions to the Indian private companies till the defence-industrial complex comes of age; till we become self-reliant in defence and global manufacturing hub for defence products. On the aside, readers can draw their conclusions from a post on Facebook that significantly reads: “The performance of Reliance Naval, sister company of Reliance Defence is pathetic; deliveries not being made and delayed by couple of years, finances in shambles, already an NPA, IDBI has filed case against the company, promoters almost bankrupt, share price came down from Rs 80 to Rs 11 since take over by ADAG. A failed company involved in manufacturing of defence ships and equipment. Reliance Defence; no infrastructure, no expertise, just brought in existence to bag Dassault Rafale contract under political patronage. Crony capitalism does not help. Lackadaisical attitude of the government is ruining the country”. Frankly, favouritisms has been the hallmark of all governments in defence deals and will continue for times to come. In January this year, government cleared procurement of 72,000 assault rifles and 93,895 carbines for the Army at estimated cost of Rs 3,547 crore. Concurrently, Russia’s Kalashnikov proposed to MoD joint venture with the Adani Group which has recently entered the defence sector, to produce the 7.62x39 mm calibre AK-103 assault rifles to not only cater for balance requirement of the Army but also for the 1.3 million strong central armed police forces (CAPF); the combined Army and CAPF requirement maybe to the tune of Rs 24,000-26,000. The Army has already set the ball rolling for the acquisition of 6.5 lakh new 7.62x39 mm caliber assault rifles under what will eventually be an over Rs 12,000 crore ‘Make in India’ project. However, MoD has told Kalashnikov cannot partner Adani Group for a JV but should partner the OFB. Posts on social media argue this is not a case of offsets, which is true, but when we already have L&T producing artillery guns in partnership with a South Korean company, why direct Kalashnikov to tie up with only OFB; is this not clear favouritism? It may be recalled that the Dhirendra Singh Committee had recommended strategic partnership specifically between Indian private companies and foreign vendors. But MoD cunningly brought in the governmental defence-industrial complex from the backdoor. Possibly government was cautious that in wake of the Rafale controversy alleging favouratism to Reliance Defence, Kalashnikov-Adani Group JV would raise cries of favouring the Adani Group. The irony is that on one hand Defence Minister Sitharaman calls HAL not good enough, but on the other hand directs Kalashnikov to tie up only with OFB whose record in producing small arms has been wholly pathetic despite crores of rupees pumped in over the years. While this type of skullduggery can be expected to continue endlessly, hopefully interests of Armed Forces will not continue to be compromised in terms of quality and time delays.